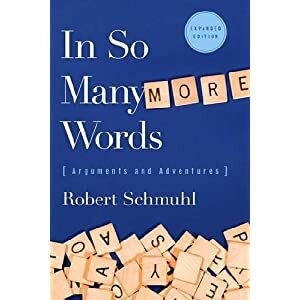 Robert Schmuhl is the Walter H. Annenberg-Edmund P. Joyce Chair in American Studies and Journalism at the University of Notre Dame, where he directs the John W. Gallivan Program in Journalism, Ethics & Democracy. Among his books are “Statecraft and Stagecraft: American Political Life in the Age of Personality” (Notre Dame Press, 1990 and 1992), “Wounded Titans: American Presidents and the Perils of Power” (Arcade Publishing, 1996) and “In So Many More Words” (Notre Dame Press, 2010). 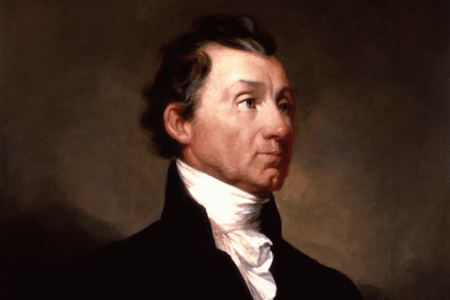 James Monroe, the last member of the "Virginia dynasty," in his official portrait. American politics travels today at warp speed, with change rather than continuity a hallmark of the accelerated pace and communications of contemporary campaigns. Three times in the past two decades -- in 1992, 2000 and 2008 -- the White House has swung from one party to the other in almost pendulum fashion. Despite the shift of presidential power back and forth between the Democrats and the Republicans, it’s possible that the outcome of the 2012 race will create a situation that hasn’t existed in the U.S. since the nation’s early days. If Barack Obama defeats Mitt Romney, he would become the third straight president (following Bill Clinton and George W. Bush) to win a second term. The only other period in our history with a trio of consecutive two-term victors occurred at the beginning of the nineteenth century. Thomas Jefferson, James Madison and James Monroe each prevailed twice and, ultimately, served eight years in the presidency. From March 4, 1801 until the same March date in 1825, Jefferson, Madison and Monroe engaged in a friendly transfer of executive authority. The possibility of three straight two-termers today deserves our attention for the questions it raises about the current state of America’s most significant political office. Has the presidency in recent years become so powerful that the incumbent’s advantage becomes overwhelming and, in effect, too much to overcome? Are citizens who go to the polls across the country reluctant to register a vote of “no confidence” in the nation’s leader, especially at a time of turmoil at home and abroad? Have Clinton, Bush and Obama been beneficiaries of generally weak opponents who had difficulties exciting the bases of their parties, as was the case with Bob Dole in 1996, John Kerry in 2004 and, it would seem, Romney in 2012? What’s most striking in comparing the present with the past is the fact that since 1992 there has been little reluctance to switch parties for those occupying the White House. That’s distinctly different from the quarter-century encompassing the administrations of Jefferson, Madison and Monroe, all standard bearers of the Democratic-Republican Party. Indeed, the three men knew one another well; each served several years as secretary of state, and they even came from the same state, Virginia. Back then, succession passed methodically, almost sequentially, as the United States settled down and established itself as a new nation. Continuity in leadership brought a certain sense of stability after the hurly-burly of the Revolution. Today, however, it would be difficult to identify three more dissimilar figures than Clinton, Bush and Obama. More than geography and political experience differentiate the centrist Clinton, the conservative Bush and the liberal Obama. And, interestingly, each has served as president amid party-switching elections on the congressional level: in 1994, 2006 and 2010. In fact, since 1992, six of the last ten national elections could be classified as “change” elections. Since the adoption of the 22nd Amendment in 1951 and its limit of two White House terms, seven elected incumbents have campaigned to continue as president. Five have been successful (Dwight Eisenhower, Richard Nixon, Ronald Reagan, Clinton and George W. Bush), while two have lost (Jimmy Carter and George H.W. Bush). But for two decades, between 1960 and 1980, the presidency was an office in flux and without any semblance of continuity. John Kennedy was assassinated in 1963, Lyndon Johnson decided against running in 1968, Richard Nixon was forced to resign in 1974, Gerald Ford (who took over from Nixon) was defeated in 1976, and Carter suffered the same fate in 1980. In other words, twenty years of trauma at the highest level. Yet pointing out the possibility of three two-termers in a row is just one dimension involving a historical parallel that bears consideration during this campaign season. The first president, George Washington, served eight years before his vice president, John Adams, succeeded him with his own electoral victory in 1796. Adams, however, lost four years later to Jefferson, beginning the Virginia streak of White House occupancy. By coincidence (or historical quirk), Reagan was president for two terms and his vice president -- George H.W. Bush -- followed him for just one term before that Bush lost his bid for re-election to Clinton, who started the newly possible string of re-elected chief executives. Will history repeat itself in 2012, as we first saw in 1820 with Monroe’s second victory? At a time of unpredictable change and deep political divisions nationwide, it’s a fool’s errand even to speculate about the near future. But since the 1980s it’s a fact that the presidency as an institution reflects greater continuity and stability than the tumultuous 1960s and 1970s. For better or worse, this White House era in its way might be closer to America’s early years rather than our more recent past.